Congratulations to Aly Cook and Rebecca Hosking for climbing up to the #4 and #10 positions in the Hot Disc Top 20! Hotdisc started in 1999 and is one of the most successful media companies in Europe providing content for TV & Radio companies. It is the leading promotional company for Country music in Europe via its Rush Released imprint. The Hotdisc Top 20 Television Programme is now on Sky TV Channel 389 four times each week. 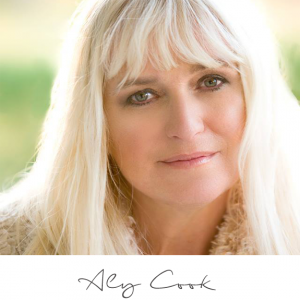 Over the past 10 years, Aly Cook has performed around the world from New Zealand to Australia, the UK, Europe and the USA, building a fan base everywhere she goes. Aly’s sound is an eclectic mix of Country, Blues, Folk & rootsy songs rich with harmonies and catchy choruses. Her unique sound has developed through a long time partnership with New Zealand’s hit producer Alan Jansson. Aly is currently crowdfunding a music video for “Western Line”, off of her “Horseshoe Rodeo Hotel” album and you can find it here. In recent months, Aly had two singles, “Midnight Cowboys” and “Messge in a Cloud“, climb to the #1 position in the Australian Top 40 Country Tracks chart. “Western Line” features guest vocals from the Kiwi Music Legends, Brendon Dugan and the late Graham Brazier. Aly was awarded the New Zealand Female Country Artist of the Year in 2012. 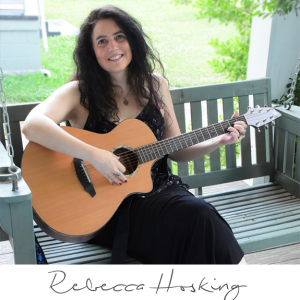 Rebecca Hosking is a Nashville Singer, Songwriter, and Guitarist who blends a traditional country vibe with Americana Folk roots and soothing vocals to create a sound quite uniquely her own. Rebecca has been perfecting her vocals most of her life and displays her unique style with her latest album releases, “A Few Broken Pieces“ and “Safe Haven“. You can find Aly’s music here and Rebecca’s music here, as well as on Facebook and Twitter. Aly’s Facebook page is here and Rebecca’s Facebook page is here. you are the sweetest person on earth! love you!